It all began in Chamonix. 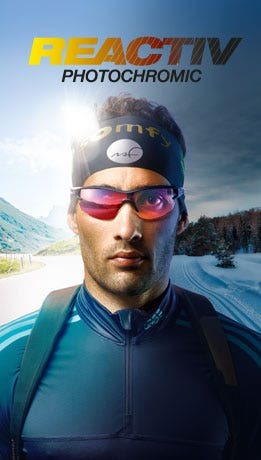 During the Ultra-Trail du Mont Blanc®, Julbo invited finishers to sign up for the chance to win a dream trail trip on the island of legends with two trail stars, Julien Chorier and Jason Schlarb. 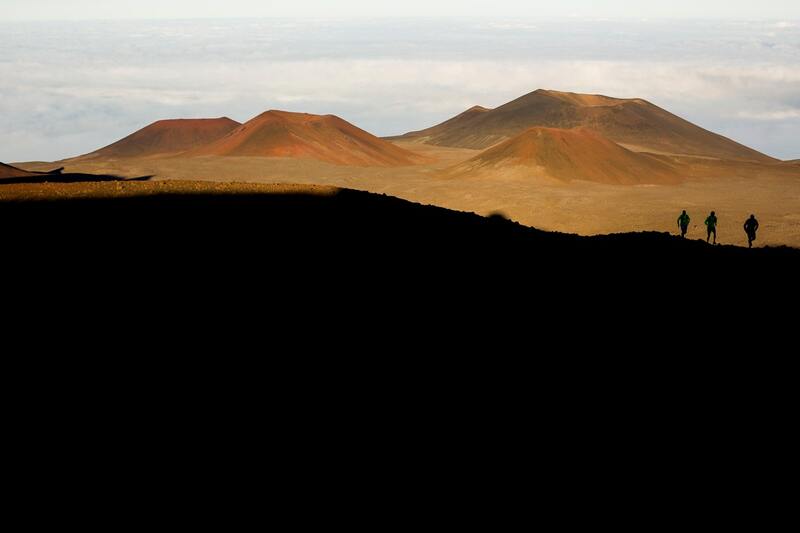 The objective: to cross Hawaii from south to north, taking in two volcanoes more than 4,000 metres high: Mauna Loa and Mauna Kea. 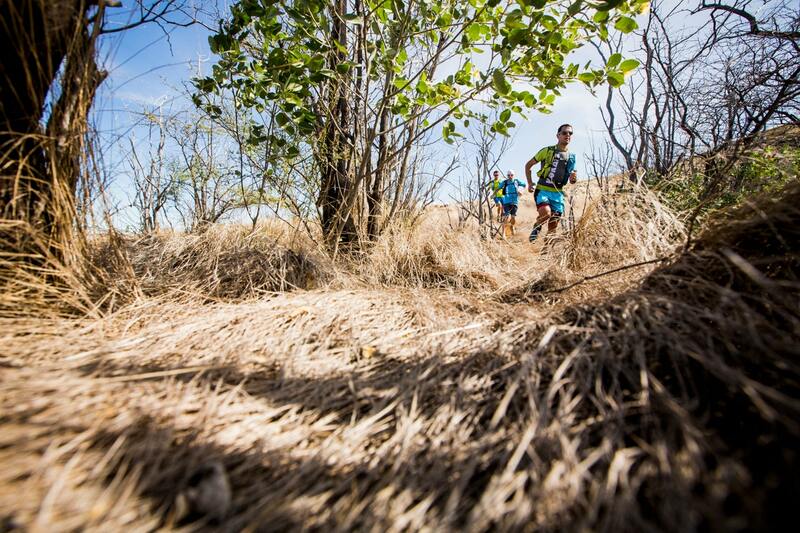 Californian Bill Clements was the lucky amateur chosen for the Julbo Trail Session 2014. 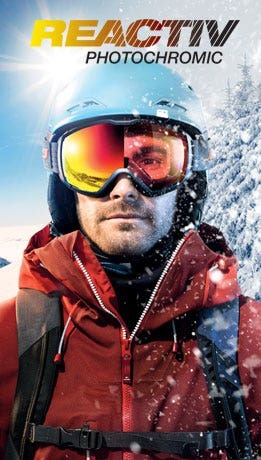 He got the chance to share a magical moment side by side and slope by slope with the two pros from Julbo Trail Team. And we get to relive his adventure today. Looking at Bill, who would have thought that this Californian used to be overweight? 100 % amateur, he took up running in 2009 after a major diet. 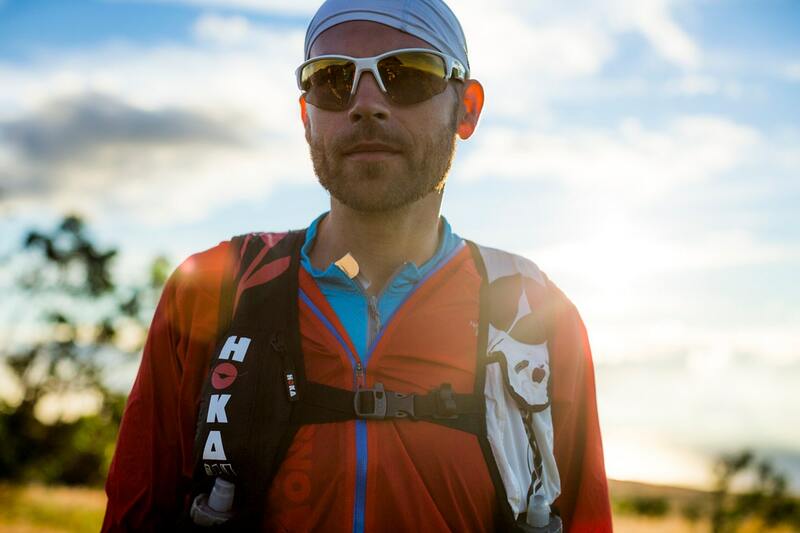 A finisher at the Western States 100 and at the Leadville Trail 100, it was his first time at the UTMB®. He finished the race in 187th place in 32 hours 45 minutes, entered the Julbo competition and won a ticket for the Julbo Trail Session! A well-deserved reward. 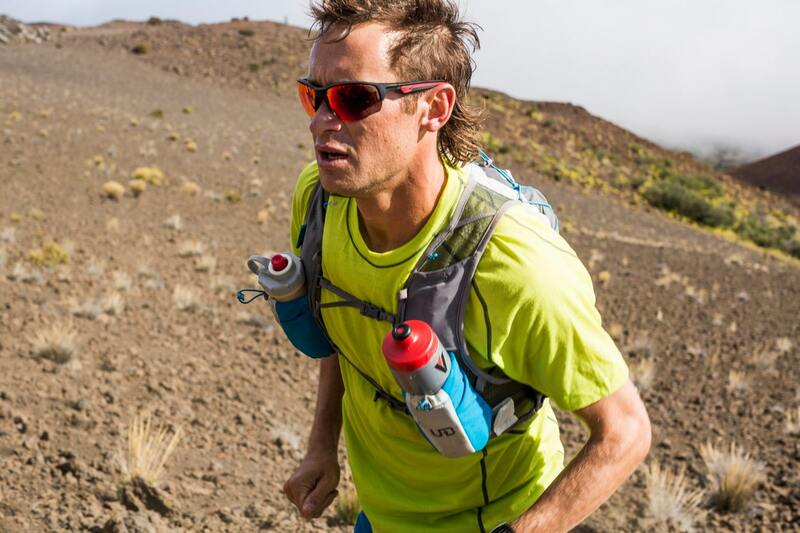 Run Rabbit 100 winner in 2013, Jason Schlarb is the great American hope of trail running. In 2014, he became the highestever placed American in the history of the UTMB®, finishing a fantastic fourth. This firm believer in a positive attitude trained in the Alps all summer to give himself every chance. Aged 34, this construction engineer has built a strong track record in trails. 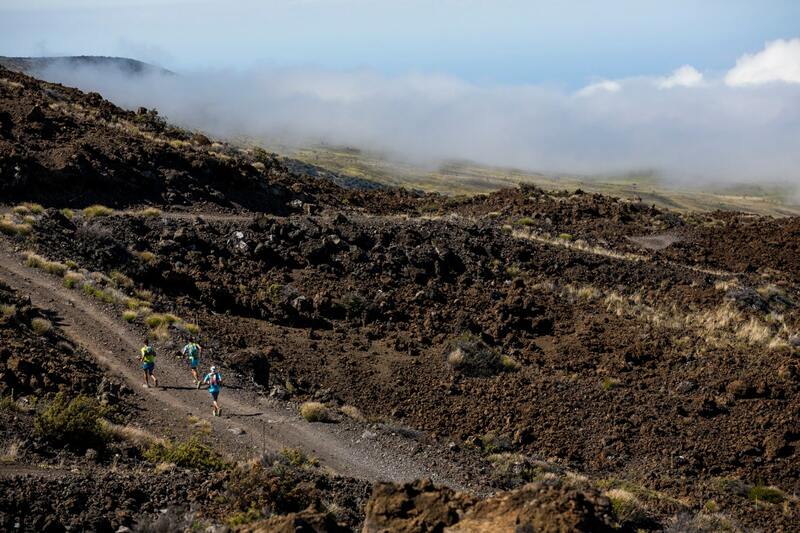 His greatest successes include: the Grand Raid de la Réunion (2009 and 2011), Hardrock 100 (2011), the Mount Fuji Ultra Trail (2012), the Ronda dels Cims (2013) and the Madeira Island Ultra-Trail (2014). And we mustn't forget his great achievements in the UTMB®. From sea level to 4,000 m altitude, nothing can be left to chance. 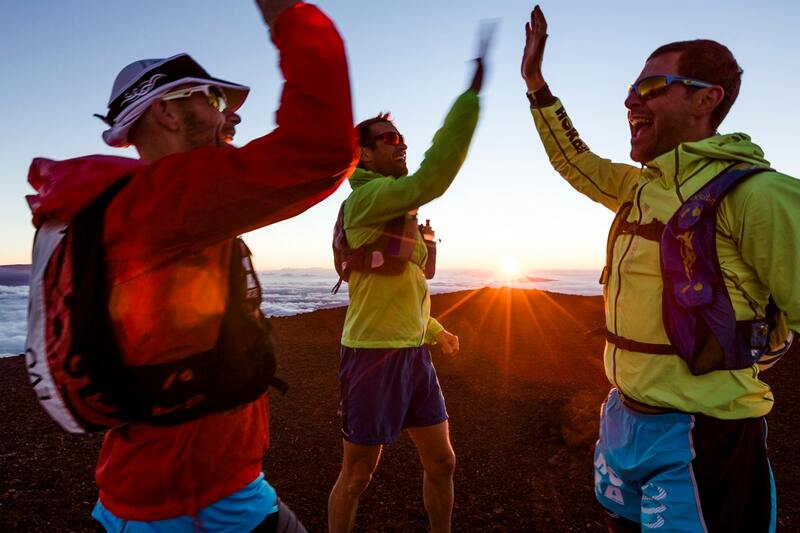 After flying in from Los Angeles and arriving at night on Kona, it's time to get to know each other. This means not only meeting the other trailers, but also discovering the island with landscape as varied as the weather which can be very changeable. The climate in Hawaii is so different it can change in the blink of an eye. And sun can follow rain just as quickly as rain follows sun! The first few days in situ are devoted to preparing the trip, finding key spots and getting to know the various terrain. And above all, preparing yourself for all conditions, from sea level to 4,000 m! On D-Day everyone is up at dawn. 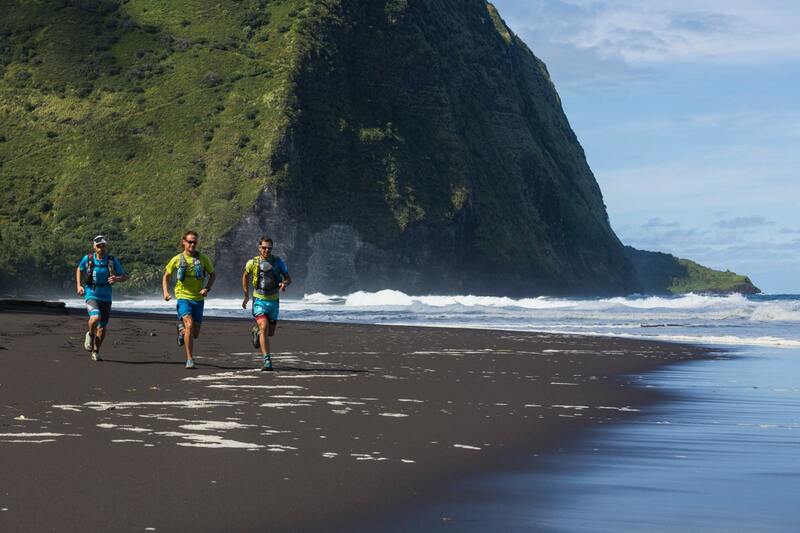 The start line is a beach ringed by a field of black lava. Our three trailers set off at 7 am on the Ka'ù Desert Trail. 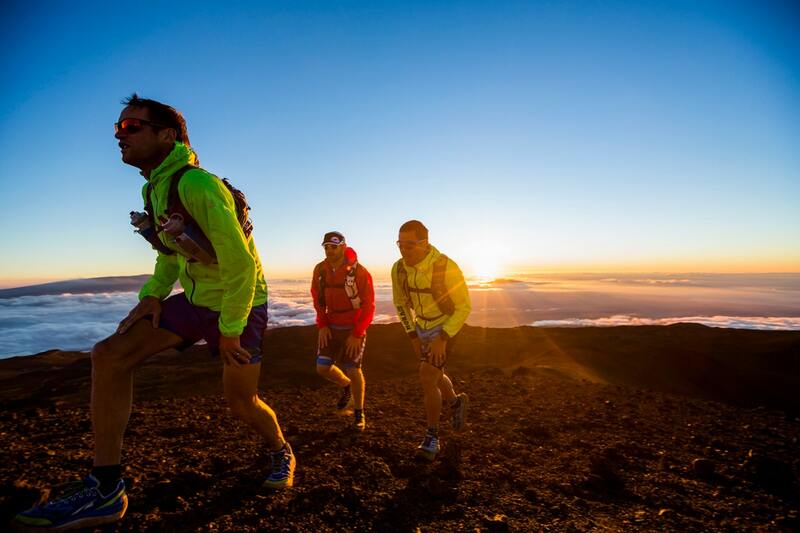 Their target - the Mauna Loa at 4,169 m: quite a climb when you start from sea level! They don't know it yet but this will be the toughest day of the trip, especially for Bill, because the tall grass hides fields of lava rendering running impossible. Higher up, the path is barely marked , forcing them to navigate from cairn to cairn. They finally arrive at the summit at 9 pm, by the light of their headlamps, 14 hours after leaving the beach! 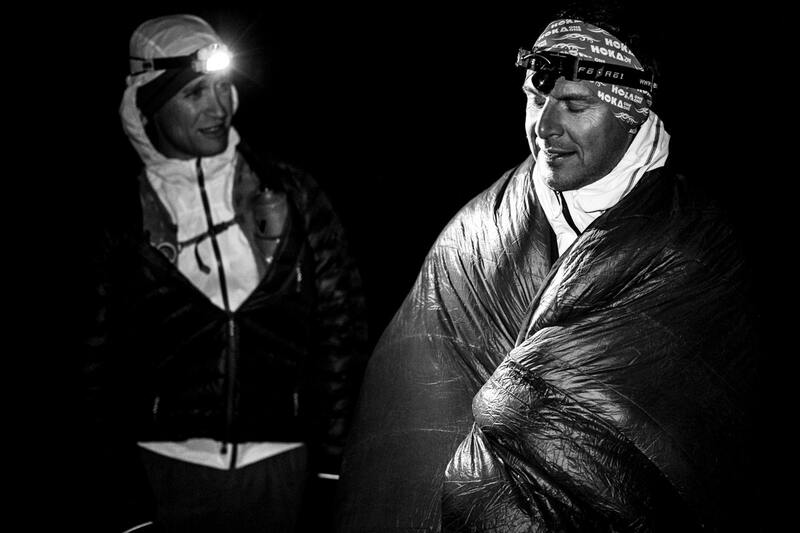 Nights are chilly 4,000 metres up but our runners are so exhausted they sleep like babies. 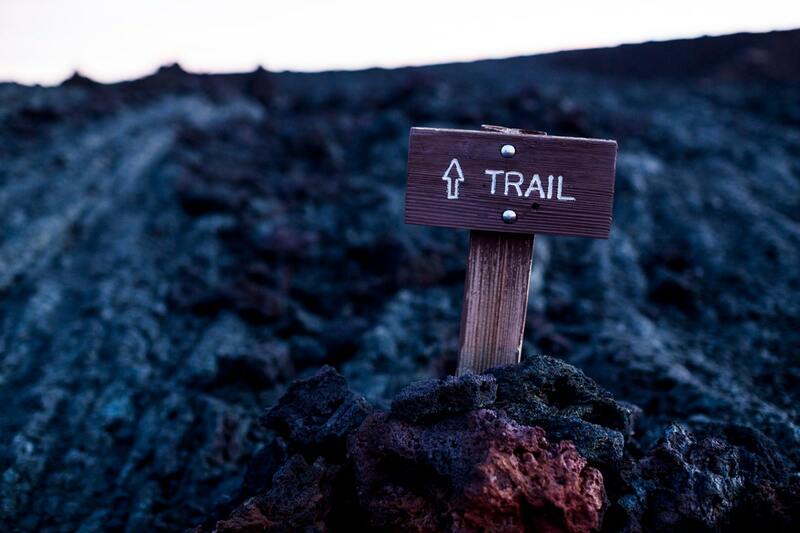 "For 80 % of the time we were crossing lava. It was tough because I don't get that in California!" "Seeing all that lava around us was like walking on the moon!" 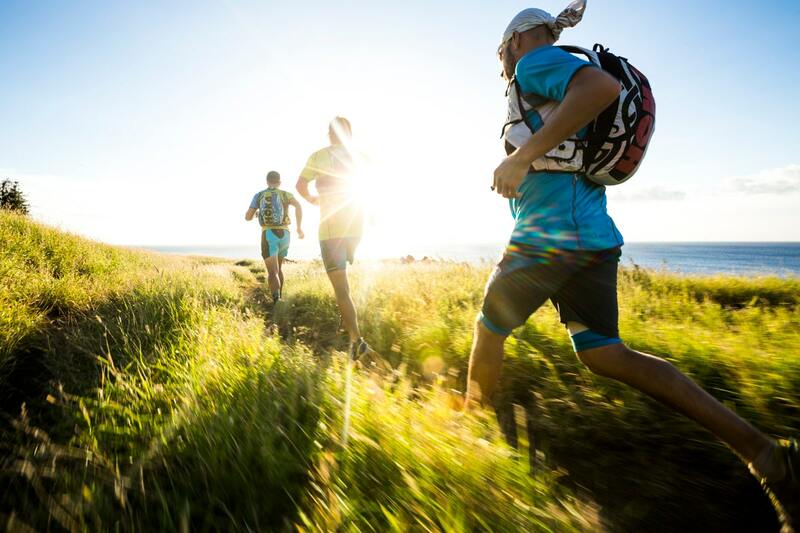 "Starting at sea level and finishing at 4,159 metres was incredible in terms of the landscape we crossed. 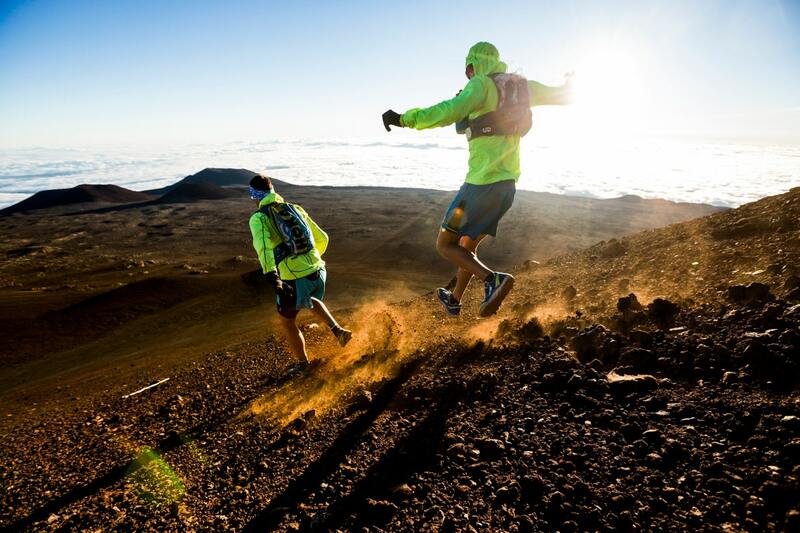 None of us had ever climbed a volcano like the Mauna Loa." 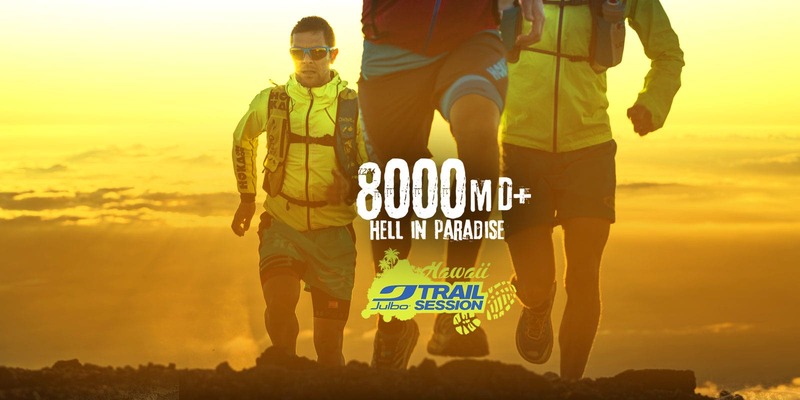 To reward our three trailers, Hawaii gifts them with a stunning sunrise. But there is barely time to admire it before they are off again. 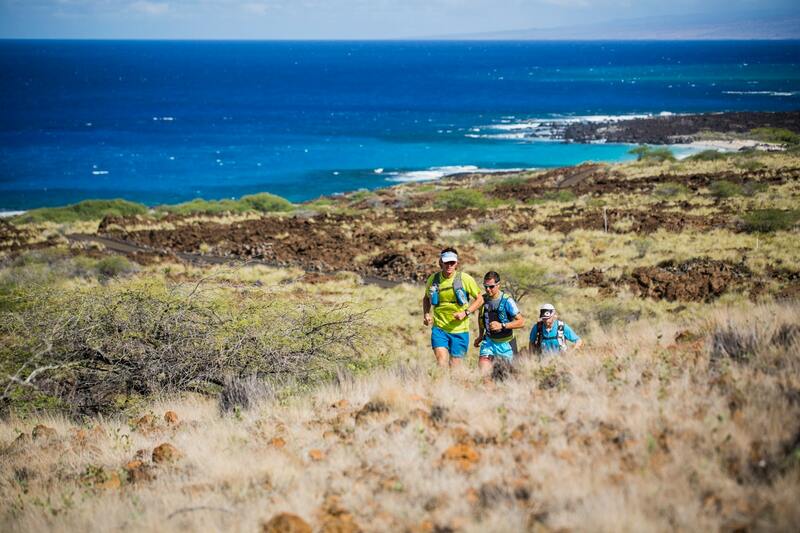 The program begins with the descent of Mauna Loa, followed by a beautiful climb towards the 4,205 m Mauna Kea. The day starts on a wonderful road which finishes in the valley, followed by a long crossing at 2,000 m of altitude. Then a pleasant, winding path takes us up to the second volcano of the trip. The pace is good; the trailers solid. And the difficulties are minor compared to Day One. The final 500 m of elevation gain are along wonderful paths. Julien, Jason and Bill reach the summit just as the sun is beginning to set. Perfect timing. "Bill was really strong and after a first day that was a little tricky, he was on top form for the rest of the way." 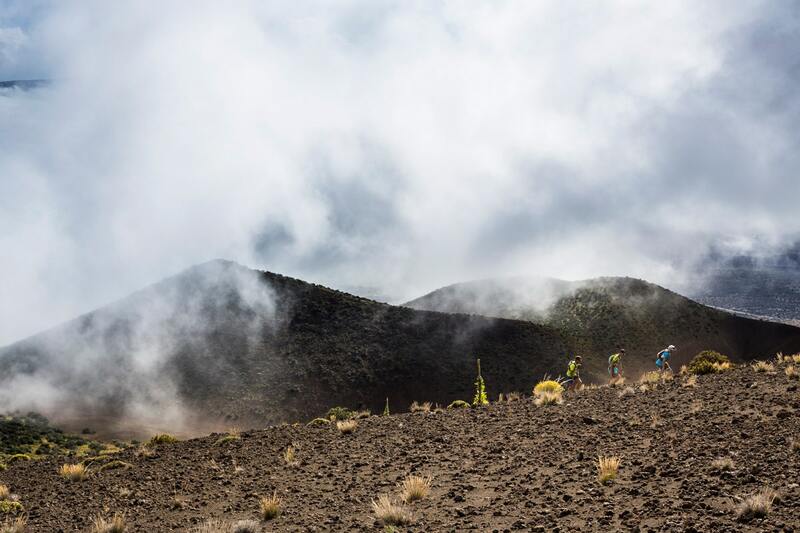 "On the road to the second volcano the sun was intense, it was really hot but our morale was really great." "At the summit I saw one of the most beautiful sunsets of my life!" 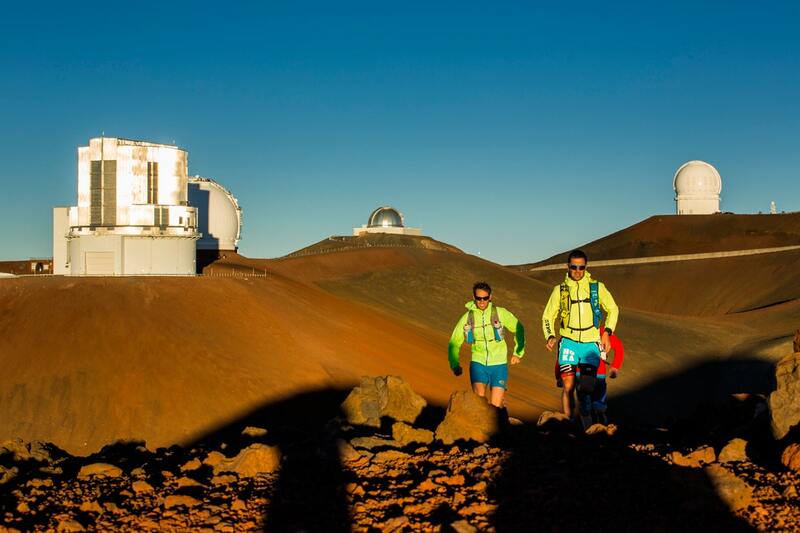 "We really enjoyed each other's company on the climb up Mauna Kea." EVERY KIND OF COUNTRYSIDE, ALL THE MAGIC OF THE ISLAND! The sunrise matches the previous sunset. Given how cold it is, our trailers don't hang around but go almost straight downhill from an altitude of 4,200 m to 4,100 m to warm themselves up! Julien, Jason and Bill are having a ball. 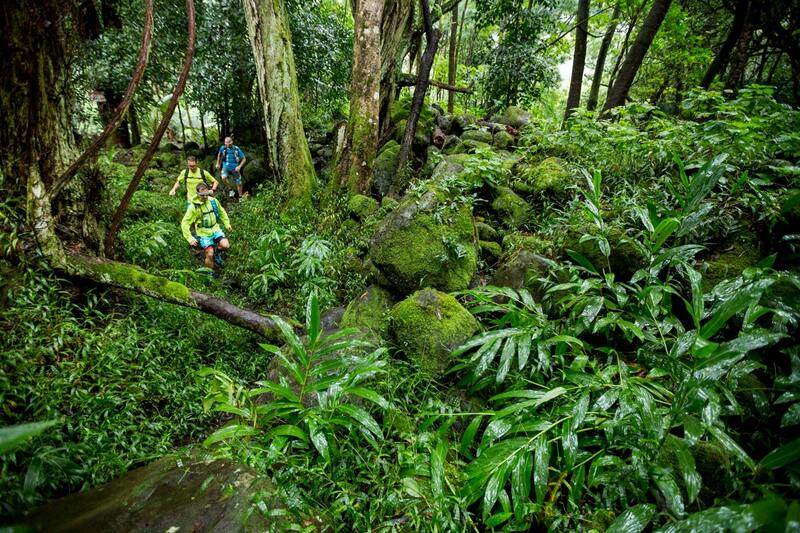 At 3,000 m of altitude, on the Kaaliali Trail, they climb and descend over a 45 km stretch. Then, having left the desert regions behind them they are filled with emotion as they traverse incredible vegetation! 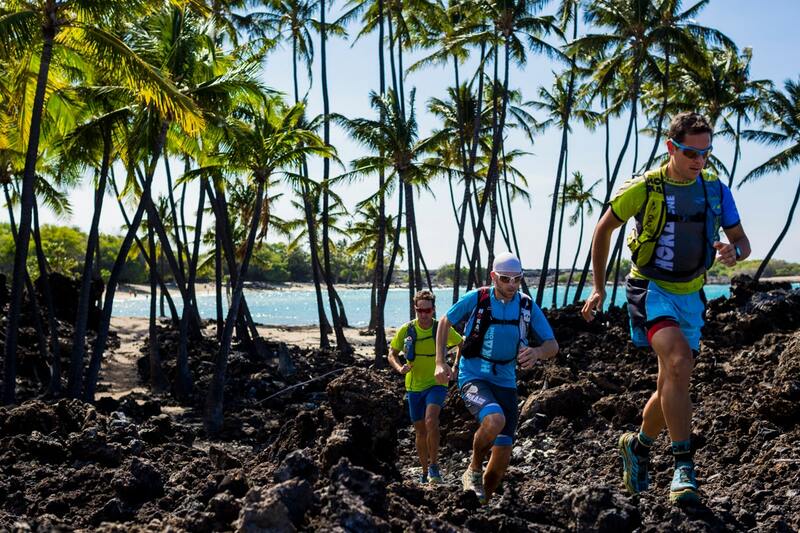 Finally, after racing for some 258 km, crossing the rain forest on Mud Lane and the surreal Waipi'o Valley, they reach the finish line on a magnificent sandy beach. The challenge has been met and the island crossed! Well done to all and especially to Bill, an amateur trailer who proved himself very much up to the challenge. "If I learned one lesson from this it's that you have to be ready to face all conditions. You have to have enough food, water, a survival blanket and a filtering cartridge if needed." 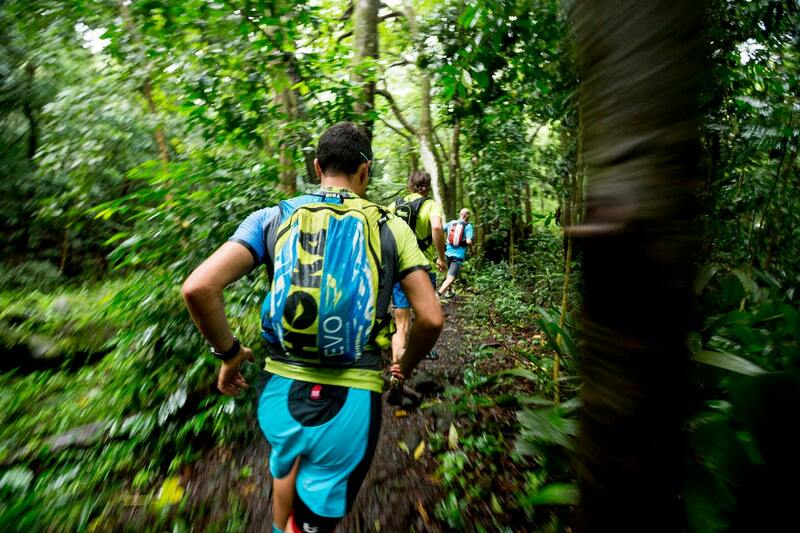 "Butterflies, spiders, rainbows, incredible paths: the last day was the most beautiful way of completing this exceptional adventure!" 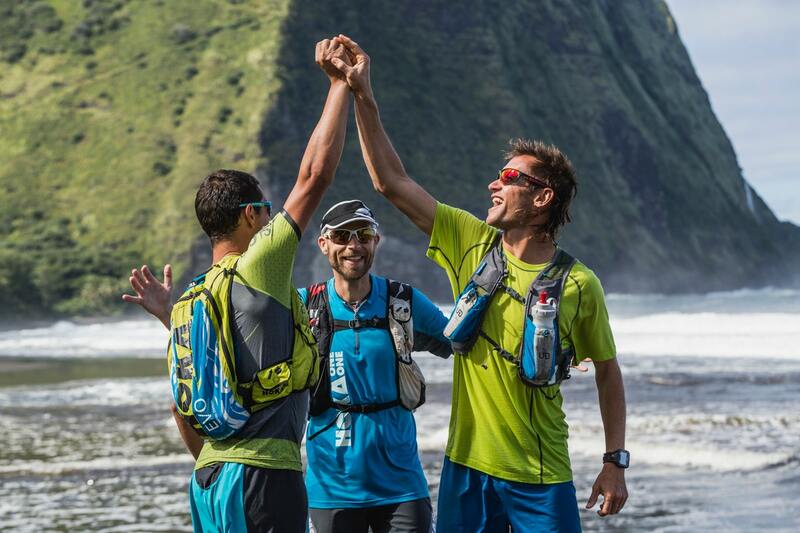 Thank you to team Julbo athletes Jason Schlarb and Julien Chorier for agreeing to share this adventure with us. 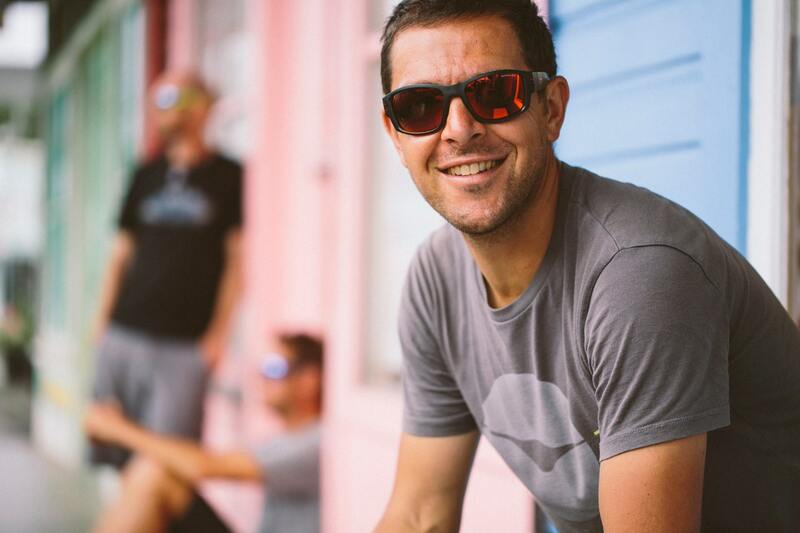 Thank you to Julbo Trail Session winner Bill Clements for his great attitude and willpower. Thank you to Josh Sky, our guide on the ground. Thank you to Dino, Seb, Thibault and Jérémy for their wonderful photos and technical assistance. And thank you to our partners for their support throughout our sessions.